Publishers often send us books to review. Individual foundation members will review the books and give their personal views. Please note that these views are not the official views of the Foundation. If you wish to write your own review of a book please email the Foundation by clicking here. Ben and Andy are best friends. Andy likes basketball and most other sports while Ben doesn’t like sports at all. Andy would often explain things to Ben that Ben got confused about; that’s what friends do. Finding a bottle in the school garden led to mysterious happenings and what was that strange blue smoke that kept following the boys. You’ll have to read the book to find out more. This book would be best suited to those with a reading ability of 12-17 years of age. Although older persons who were interested in a short story with a touch of Asperger’s may also enjoy it. Only having 90 pages and slightly larger print than normal it took me one hour to read the entire book. 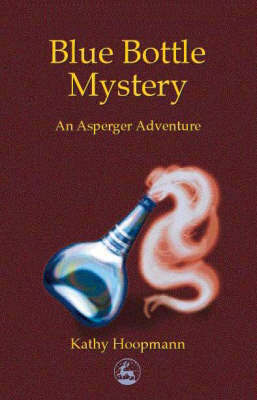 A story to give readers an introduction to Asperger’s Syndrome. Wendy Lawson is an Australian woman with Asperger’s Syndrome who was born in 1952. For much of her life she was misdiagnosed with intellectual disability and schizophrenia. She is now a counselor, academic and autism consultant with her own business. Some may have heard her at autism conferences or visited her website. As the title suggests this little book is a self-development manual. But it is written from an Asperger’s standpoint, and includes such useful sections as a glossary of colloquial sayings which often confuse those with Asperger’s. She explains that ‘neurotypicals’ (those without Asperger’s) are polytropic meaning they can do more than one thing at once, while those with Asperger’s are more likely to be monotropic finding it easier to concentrate on one thing at a time. They also tend to think visually and literally in their understanding of the world. The chapters follow the metaphor of house construction such as building firm foundations, strong walls, good infrastructure, and maintenance, relationships with the neighbours, and even realising when it is time to move on. There is a lot of emphasis on building self-esteem through visualising techniques such as imagining pouring weed killer on negative comments by others. Other topics include keeping control of your life and decision making, understanding signals from others and coping with being different. Each chapter has a useful summary list of pointers and cute line drawings. Her own poems add to the text. Although clearly written it is quite a sophisticated approach so would probably be of most interest to older teenagers or adults. Actually this book could be useful for anyone attempting to make their way in the world. This book is a fascinating personal account of Jen’s life. She describes her struggles to “be normal” from childhood, through the vulnerability and exploitation of adulthood, to the revelation of diagnosis with Asperger’s syndrome. It’s all there – seeking for purpose, sexual identity, employment, family, a horrendous experience of psychiatric services, friendship, education, and finally acceptance and understanding of oneself. It’s not all serious though. Jen pokes fun at herself, and the hilarious chicken stories reflect Jen’s delightful eccentricity. I actually found this a really hard book to read. Firstly, because the honesty and sometimes embarrassingly intimate details were a bit overwhelming in parts. Secondly, because I found it confusing to follow the association of ideas (perhaps not so different from how Jen felt in her dealings with others!). Jen explains in the prologue that she has interwoven the chronological with the thematic chapters to better identify life issues. I feel a bit disloyal to Jen, therefore, when I find it easier to separate out the sequence of events first and then try to make sense of them later. Also the more theoretical sections about Asperger’s syndrome and “helping hints” didn’t “connect” with me. I guess it just goes to show – different people think in different ways, and isn’t that exactly what it’s all about! So, was the book enjoyable? Hmm…yes and no. It made me uncomfortable and it made me think. I felt ashamed of the health profession ( to which I belong) and frightened for my child with Asperger’s syndrome. There has been a lot of hurt in Jen’s life, and I hope it wouldn’t happen like that again. Was the book worth reading? Most definitely! Jen’s is a remarkable life story, narrated with great insight. The experiences come to life as you read. Jen Birch is a brave and articulate advocate for community understanding of Asperger’s Syndrome, so much so she’s becoming a bit of a media star. She was recently interviewed on National Radio and she also featured on a television documentary in 2000 about Asperger’s Syndrome called Life Among Strangers. She regularly speaks to groups. This book is her story in print and for the sake of our whole community I hope it is widely read. Jen diagnosed herself in 1997 at the age of 43 after attending a university lecture by a psychologist on AS. It explained why she had felt different all her life. The speaker then wrote her a ‘reference’ to take to tutors and potential employers explaining AS and how it affected her learning and working. This book is particularly valuable as it is a New Zealand story of AS. Jen grew up on a New Zealand farm, survived and later thrived in the New Zealand education system and endured employment in New Zealand workplaces. She reflects on her life and experiences in an endearingly open and honest way. Her experiences illustrate the traps a vulnerable person with AS can get into such as becoming victims of bullying, abuse and deceit. She also suffered shocking treatment by the mental health system and lack of support from health professionals. Her personal devastation after the death of her father was not recognised. More recently she has coped with bowel cancer. But she also emphasises the positive aspects of AS such as visual, creative and independent thinking. AS people are blind to prejudice, lack malice and often have special abilities in various areas. This is a great book for parents of a child with AS as Jen’s success in life emphasises the importance of a supportive parent. It is also reassuring for parents that children with AS can live independent lives as adults. Even though AS varies from person to person there were flashes of recognition for me as a parent throughout this book, such as the difficulties and anxieties caused for the person with AS by multi-tasking and sensory overload. She explains why there is the need to ask the same question repeatedly and the pleasure of repetitive tasks, and reinforces the need to break tasks into small chunks. There are also numerous hints here for adults with AS including a useful guide to tertiary study. And Jen brings in some of her own theories of AS relating to linguistic and evolutionary development. 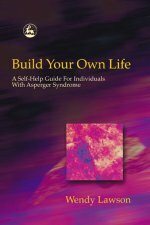 It is a pity this book is so expensive, retailing in NZ for over $50, as I would recommend it as essential reading for a family or anyone involved with AS, along with Tony Attwood’s invaluable guide Asperger’s Syndrome from the same publisher. So get your local library and local school to buy it. Thanks Jen for writing this for us. 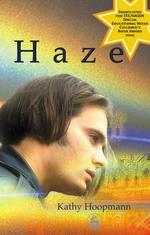 ‘Haze’ is Australian author Kathy Hoopmann’s fourth book featuring a main character with Asperger’s Syndrome. It tells the story of Seb Taylor, a teenage computer genius who struggles with social interaction – ‘brilliant with numbers, hopeless with people’, as one character describes him. The story line revolves around the development of Seb’s character, fostered by his growing friendship with his classmates Kristie, Jen and Madeline. At the beginning of the book, Seb is locked into a daily grind, bored at school, tormented by bullies, and alienated from his parents. His only relief comes from his fascination with computers and his long-standing friendship with Guzzle. At this stage of the book, I have to say that I did not find Seb a very likeable or sympathetic character. He seems rather cold and not very engaging. But as his friendship with the girls grows, he develops a more human side. Early on, he fails dismally in his attempts to make conversation with Kristie, and feels humiliated. Towards the end of the book, he comforts Madeline, who is traumatised by abuse from her mother, an emotionally barren control freak. In these episodes, the reader can relate to Seb, as he is experiencing identifiable emotions. Unlikely as it appears at first, I also found Seb’s friendship with Guzzle realistic and moving. Guzzle is a cool and confident sports hero, but it is believable that he would appreciate Seb’s loyalty and reliability, especially given his turbulent home life. Asperger’s seems to be a pet topic of Hoopmann’s, although I don’t know if she has had any personal experience with it – she lists Tony Attwood in her acknowledgements. In any case, I found the portrayal of Seb’s Asperger’s rather clumsy and unconvincing. Researching Asperger’s on the internet, Seb concludes that he has 22 of the 24 defining characteristics of Asperger’s. Hoopmann seems to set out to include as many of these in the book as possible – for instance, we learn that Seb is a poor sleeper via his mother, in conversation with one of Seb’s teachers. A lot of these revelations do little to advance the plot and could probably have been omitted. They also cause Seb’s character to appear somewhat inconsistent. On the third page of the book, we learn that Seb has read an encyclopedia, a thesaurus and a dictionary, one after the other, and that he has his own distinct sense of humour. In the remaining 152 pages, Seb shows no sign of having either any interest in words, or a sense of humour of any kind. (The book itself has moments of humour. Kristie returns from an attempt to make conversation with Seb vowing ‘never to ask his advice on buying a computer again.’) There is a subplot involving illegal computer hacking via Seb’s school. Seb is a suspect and comes under investigation from internet detectives. I thought this story line was ultimately incidental, but I may be biased, as I am not computer literate and had trouble following it. In spite of its shortcomings, ‘Haze’ has much to recommend it. If you are interested in computers, or Asperger’s Syndrome, or best of all both, then this could be for you. With its eye-catching title and colourful, quirky cover, it is clear that this book is out of the ordinary before you even open it. Appearances in this case are not deceptive. ‘Freaks, Geeks’ distinguishes itself from the mass of books on the subject of Asperger’s by the fact that it was written by a thirteen year old and aimed specifically at teenagers. Luke’s family, consisting of his six siblings and mother, feature prominently in the book. Luke, as he reminds us frequently, is ‘only thirteen’, and therefore needs some advice from his older siblings on subjects such as dating. Luke also uses anecdotes from his family life to illustrate how Asperger’s has affected him. But even apart from this, his family would be worth writing about anyway. Younger brother Joe has ADHD (Attention Deficit Hyperactivity Disorder) and the youngest child Ben is severely autistic. I particularly enjoyed the bits about Joe, who seems to have a great sense of humour. When his mother asks him if he has had a good day at school, Joe replies ‘Yes, my teacher didn’t hit me once today’, and later in the book one of his cartoons appears, of a fish smoking a cigarette with the caption ‘No lungs, no problem.’ Illustrations by Luke’s sisters Sarah and Rachel appear throughout the book, including the cover. Luke’s style of writing gives the impression of a confident, energetic teenager. This makes the book very easy to read. As such, it comes as something of a shock to read that he speaks with a flat, monotonous voice, and is the ‘class nerd.’ I suppose that this could be attributed to the fact that Asperger’s sufferers sometimes have problems with the speed of a social interaction and express themselves better when time is not such a factor – when, in other words, they are writing rather than speaking. As something of a pedant myself, I do wish that Luke had cut out some of the redundant phrases scattered through the book, such as ‘like me too’ and ‘both mutually agree.’ However this is my only criticism of the writing. Luke’s anecdotes and joking asides give the book depth, colour and a human context, but his real purpose is to ‘help other people understand themselves or their children better.’ The book provides advice on the full range of the Asperger’s experience, from getting the diagnosis to dealing with bullies. The advice he gives mainly stems from his own experiences, as well as his reading and conversations with his family. In giving his advice, he makes good use of his observational skills, a feature common to Asperger’s sufferers, even though he frankly admits that he does not always understand what he sees. This may be the reason for his occasional naiveté – for instance, despite what he says, not all bullies are stupid. Generally though his observations seem highly intelligent and perceptive. Some chapters, particularly the one on dating, are based on conversations with his family rather than his own experiences, and are less convincing. However the subjects he covers in them are necessary for a ‘users guide to adolescents’, as this book sets out to be. Overall I found this an outstanding book as well as an enjoyable read. Luke has well earned the small lapse in modesty that he grants himself at the start of the final chapter! Having read it, I wish that it had been available ten years ago, when I too was a ‘geek’ struggling with adolescence. Stories like this emphasise the importance of understanding Asperger’s Syndrome, and why the work of groups like the Cloud 9 Children’s Foundation is so vital. Ben Levinson, the ‘Ben’ of the title of this book, was born in the United States in 1969 but it wasn’t until he was in his 20s that he had a diagnosis of autism. More significantly it wasn’t till his mother obtained Tony Attwood’s life changing guide to Asperger’s Syndrome in 1998 that the obvious (to us in 2003) diagnosis of AS was confirmed. Yet his mother, the author of this book, a psychologist and family therapist, had been searching for answers for years. Meanwhile Ben had had the most horrific life experiences as those around him tried to force the unusually shaped peg he was into a round hole. He suffered at the hands of the education, health, mental health and justice systems. While he could talk before he could walk, was a prolific reader and had an amazing memory, he was poorly coordinated, socially awkward and also had to cope with the embarrassing effects of Crohns disease. But what I found saddest about this very honest book was his mother’s admittance that she could not accept him as he was until she found out about AS. Perhaps this is an American thing – such a need to conform to stereotypes of appearance, behaviour, popularity and achievements. I’m so glad we don’t have a societal expectation of such nightmares as ‘playdates’ here for how many AS children would ‘pass’ these? Ben’s life reflections at the beginning or each chapter are wise and articulate. He eventually chides his ‘enmeshed’ mother for continually trying to change him. This is a good story about survival for mother and son, and eventual acceptance and independence for both. My initial reaction when I was recommended this book was – “Oh no, not another harrowing (American) account of someone with AS”. But this book really gripped me from the first page. It is the story of a mother’s battle to find out why her son is so different from the “norm”. It is also the journey they go through in trying to find appropriate therapies and services for him. But mostly, it is an extremely honest portrayal of the process she goes through in learning to accept her son, as is, and in learning to love and appreciate him. In the early days she goes through the very stressful time of wondering if in fact he is different, or just an extremely bright child who is better behaved than “average”, i.e. is quite happy just sitting and reading his favourite books and playing repetitive games, rather than being the high energy demolition team like many preschoolers. I particularly related to her struggles with doctors and family members who told her it was all in “her mind” and that she was looking for problems when there weren’t any. At the beginning of each chapter is a comment by Ben, which gives a real insight into how his world was experienced by him. Finding Ben is extremely easy to read and although it is set in the US, the themes can be easily related to by families in NZ. Although some of the events, which happened to Ben particularly in his late teenage years are really awful – he ends up being admitted to psychiatric hospital & jail, the general feeling of the book is quite upbeat. The episode where they try motor therapy is quite funny (in a black humourish way!) It was easy to imagine the scene with the therapist manically calling out to try to get Ben to come and jump on the trampoline – “it’s fun, it’s fun, come on mummy isn’t it fun”. With Mummy then being cajoled into jumping on the trampoline trying to look like it was fun – all the while with Ben just saying “I’m scared, I want to go home”. Along with the (to Ben) terrifying self-playing piano (meant to be an incentive to try the exercises), but which he just finds so scary that his screams trigger an ambulance & fire engine call-out. I feel that this book will particularly appeal to parents who have children with AS who were diagnosed at a later age. Although it would be useful for parents of younger children too; if only as a plea to not get so caught up in looking for cures to normalise these special, precious children that we lose sight of the real child who is looking to us for reassurance and acceptance of them as they really are. This story fills you with intrigue that captivates its audience. What you get out of this book determines how much you seek and ponder the many layers of intrinsic treasures that are neatly and profoundly woven throughout the pages. These gems should not only be sort after but savoured as the complexities of Christopher’s life unfolds and shows us how to “feel” life through the eyes of an Asperger’s adolescent. An expertly written storyline by the author that gives marvelous insight into the daily journey of this young man. The story is hilarious, thought provoking, realistic and was definitely a challenge to put down. I found the book fascinating. I was intrigued from the start. After reading awhile, I almost stopped. It was hard to stay focused on all the details, but I still wanted to know who killed the dog. When Christopher found the letter from his mother, I became hooked and from then on I could hardly put the book down. I just had to know how Christopher was going to cope. It’s amazing how the author has managed to show us the personalities of the characters and to help us understand the feelings of the characters, whilst at the same time looking at it all through Christopher’s impersonal, detached insights. Christopher’s parents are very real, people, with very human strengths and weaknesses and my heart went out to them as they did the best they could for their special son. Christopher Boone, aged ’15 years 3 months 2 days’, is surely one of the most unconventional narrators in the history of fiction. The mysterious death of a neighbour’s dog prompts him to investigate the ‘murder’ and write a murder mystery based on his investigation. As you can tell from reading the extract above, he has an objective, unemotional way of seeing the world and describing the action as it takes place. He does not use metaphors, denouncing them as ‘lies’, but under the advice of his mentor Siobhan, he includes some descriptive passages. These usually relate to things that are irrelevant to the storyline, such as an ad for holidays in Malaysia. However these passages are both amusing and revealing, for they help to illustrate Christopher’s phenomenal powers of observation. Despite his unadorned writing style, Christopher has a knack for beginning chapters with short, attention-grabbing sentences – ‘I see everything’, ‘Mother died two years ago’, ‘All the other children at my school are stupid.’ Christopher also has a habit of interrupting the narrative with alternating chapters about his theories on life and science. Even with the clearest writing style in the world, chapters 163 (on ‘why the mind is actually a computer screen’) and 193 (on ‘getting lost in time’) would remain utterly incomprehensible. The unusual typescript has a curiously mechanical look to it, which somehow contributes to the deadpan effect. The book also contains much sadness, especially towards the end. Some of the sadness comes from the insults and abuse that Christopher suffers from people who do not understand him and are alarmed by his behaviour. Also, as Christopher’s investigation progresses, he uncovers new information on his parents, which turns out to be connected to the death of the dog. His reaction to his newfound knowledge pushes the book towards its climax. It is sad to realise the problems that Christopher faces in life, and the problems that these in turn caused for his parents. The Curious Incident of the Dog in the Night-Time is a remarkable achievement for Mark Haddon, and is a must-read.